I know what you are thinking - there are literally thousands across the globe. Where would you go racing? 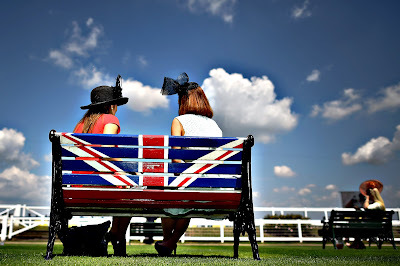 I guess most people - if given a choice - would plump for the high fashion of Royal Ascot with its pomp and ceremony, top hats and tails [mourning suits] and ladies dressed up to the nines. What more could any lady ask than high heels, champagne, and winner or two? If you are searching for something spectacular then look no further than St Moritz in Switzerland. Forget the green grass of home, this is called White Turf. 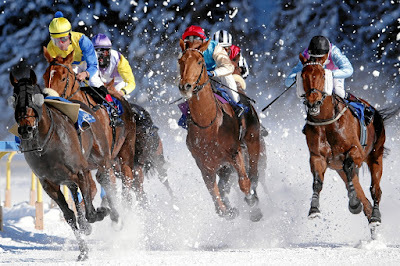 Racing takes place in an alpine setting where horses, many sent from the United Kingdom, race on the frozen lake St. Moritz which is covered with snow. Make no mistake it's cold but a unique, exclusive and top-class race meeting. It's a tradition which dates back to 1906. If you fancy a winter flutter then I suggest St Moritz every February. Perhaps you want somewhere a bit closer to home. You love the beach. OK!!!! 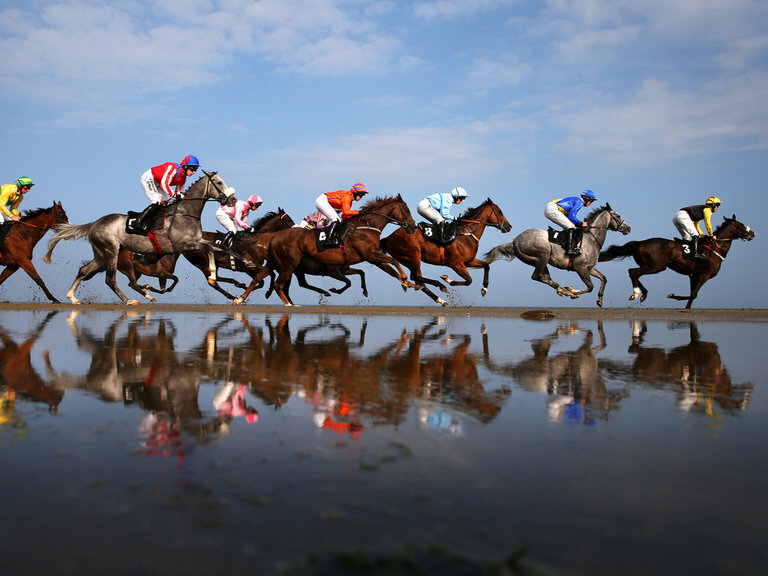 So you want to go to a horse racing meeting on the beach? Surprisingly, I've got just the place. 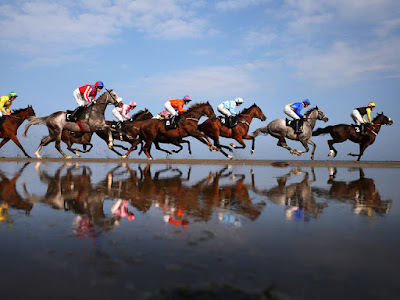 Did you know that Laytown racecourse is unique as it is the only Irish and English race event to be run on a beach under the rules of the Turf Club? This famous meeting takes place in County Meath, Ireland. It was first raced in 1868. Thinking about racecourses, I can't help but wonder if there is an exotic location with a racecourse - but somewhere you wouldn't really imagine racing taking place. I've found just the location. We've ventured to Royal Ascot, St Moritz & Laytown. But let's go further afield, far away from Europe. A holiday destination. It lies between the Caribean Sea and the Atlantic Ocean. Any guesses? Leeward Island. Getting warmer. Think Christopher Columbus. It's Antigua and Barbuda. Take a look here to enjoy the best that Antigua has to offer holidaymakers. Antigua horse racing. It's a beautiful holiday destination famous for its luxury resorts. If you love horse racing then you are unlikely to see anything like Cassada Gardens Horse Racetrack. It is situated next to Mount Pleasant and located in Saint George, Antigua and Barbuda. Take a look at this video from the Antigua Turf Club. It's far from the splendour of the luxury resorts but it's racing.